The CO2 Bricklet is equipped with a precise CO2 sensor. The sensor can measure in a range from 0 - 10000ppm. One possible application is an automated ventilation control. During our testing here in the laboratory we also noticed that you can precisely see when a person enters a room (CO2 concentrations rises) and leaves a room (CO2 concentration falls). 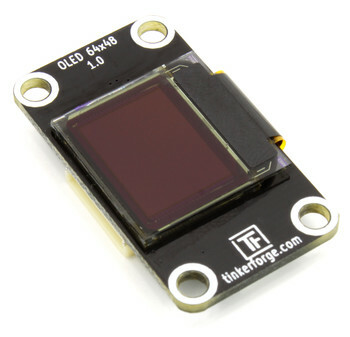 Additionally to the LCD 20x4 Bricklet and the Segment Display 4x7 Bricklet we now offer two OLED displays. The big OLED 128x64 Bricklet has a resolution of 128x64 pixel and it can be mounted directly on top of a stack of Bricks (dimension is 4x4cm). The display can be updated up to 60 times per second, it shows white pixels on black background. As usual with OLEDs, it has a high contrast. It can be used for combined graphics and text output. 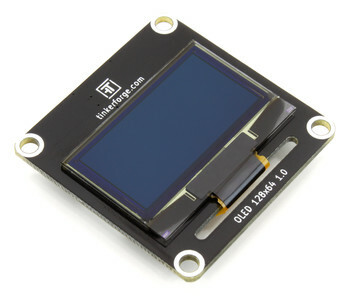 The OLED 64x48 Bricklet is a smaller version of the OLED 128x64 Bricklet with a resolution of 64x48. It has the tiny size of 0.66″. 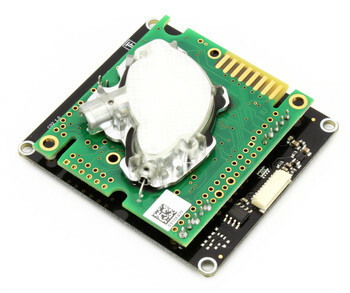 You can mount it even in the smallest projects and still show lots of text and small graphics! 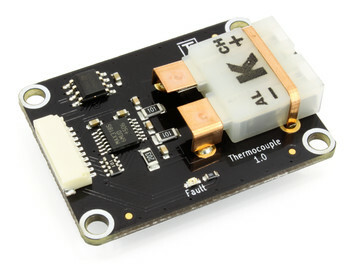 With the Thermocouple Bricklet you can measure temperature with the help of a thermocouple. The thermocouple types B, E, J, K, K, N, R, S and T are supported. The most prevalent type is the K-type. The PTC Bricklet can measure temperature with the help of Pt100 or Pt1000 resistance thermometer. A thermocouple can in comparison have a much higher temperature range. It is for example possible to measure the temperature of a heating system. 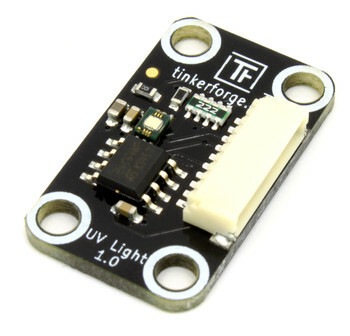 The UV Light Bricklet can measure the strength of ultraviolet light. Additionally it can determine the UV Index. The software for the new Bricklets was already released yesterday. As of now all of the new Bricklets are available in our shop!